This is a sample of current/production oscillators from our catalog. Not everything we make is shown here, so if your requirement is not listed, please contact us. 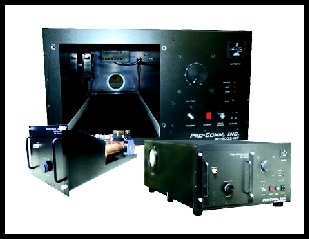 Pro-Comm, Inc’s RF Systems are fully self contained, and include modulation, power supplies pulse protection, output protection, and Frequency source. Remote programming is available. Customer requirement is AC input voltage and trigger.